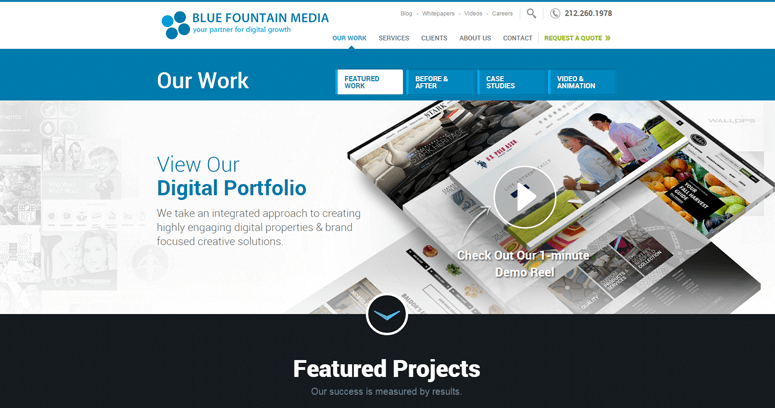 Some of the most recognized faces on the globe as well as powerhouse brands trust Blue Fountain Media with their digital projects. 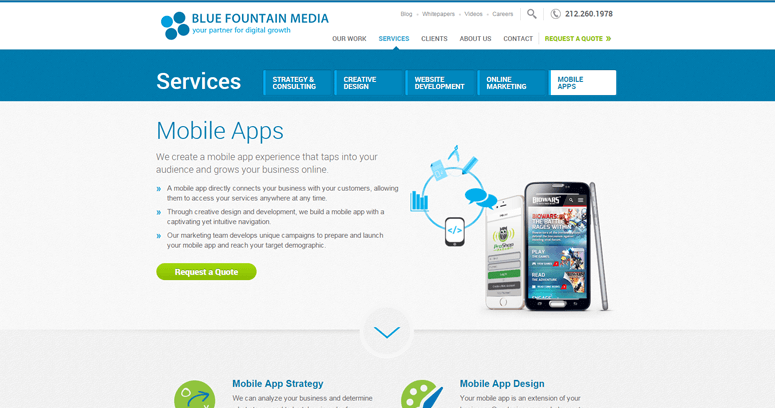 This is due to the full-suite of services including strategy and consulting, creative design, web and mobile development, online marketing, and mobile apps. The level of expertise required to tackle these specialty areas demand stand-out talent. Brands that have entrusted their digital reputation to this firm include top brands such as P&G, Elizabeth Arden, Cannon, and NASA. 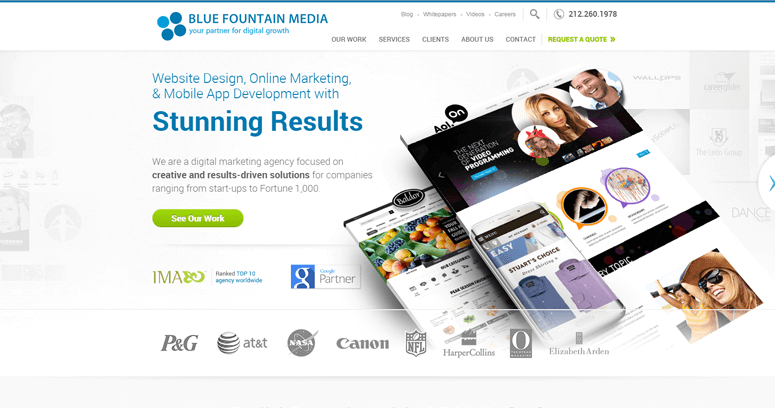 Watch your brand grow with interactive content through long-term strategies formulated by the team at Blue Fountain Media. Startups, B2B, enterprise, education, B2C, non-profits, and others will be impressed with the results provided. The approach is three-fold with metrics from search traffic, leads of converted website visitors, and loyalty and repeat business outcomes. The strategic tactics use SEO and email marketing with PPC ad placement for local, national or global exposure.